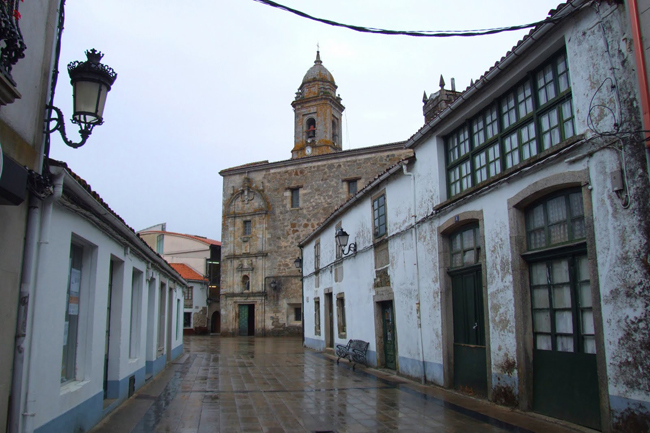 The village of Melide is situated geographically in the centre of Galicia. Set of the plains of the river Furelos, It is surrounded by the hills Careon and Bocelo being the highest point of the province of A Coruña of 803 m. and situated in the preserve of Pilar. It also has vast forests and fields. The actual population is approximately 5000 reaching a total of nearly 8000 within the town hall. Melide was and continues being a cross roads as certified by the highways between Coruña, Ourense, Lugo, Santiago and also being the Camino de Santiago, of which the French way and the primitive way being the main routes through the village, both recognized by the World Heritage of Unesco. It has an extensive and prolific history, full of key events within Galicia, and symbolic monuments like “El Cruceiro” (considered the oldest in Galicia). The town of Melide is famous for its artisan desserts: ricos, melindres and almendrados, all made from natural products.